And thank you for making your down-payment! If you elected to have us create you a personalized fund raising page for the remainder of the fee we will do so shortly and be in touch with you. If you yourself will be paying the balance, please return to this page and do so by November 15 or mail a check (info here). 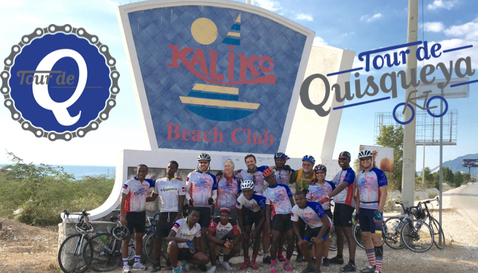 We look forward to having you join us on the inaugural Tour de Quisqueya! Now that you have joined, expect an e-mail from us soon. So please ensure that cyclequisqueya@cd-international.org doesn't get caught in your spam folder. no later than November 15. Thank you. Please also be reminded that non-cyclist registrations are standby only and will be confirmed by November 1. Please do not purchase your international flights before consulting with us. Thanks.